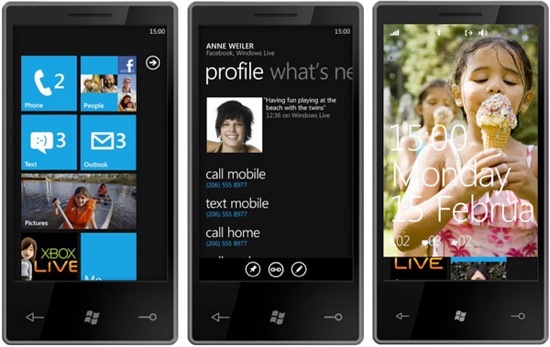 Windows Phone 7 Developer Conditions Leaked: An Apple Clone? Microsoft’s only just announced its months-off revamp to WinMo, now Windows Phone 7, and the SDK release is ages away too. But someone’s just leaked the app developer agreement documentation…and revealed it’s a lot like Apple’s. As we knew, the code behind WinPhone7 is a radical departure from earlier Windows Mobile efforts, and like the Zune it uses XNA, with some Silverlight and .NET thrown in. And there’s also a marked departure from the more free-form rules for developing for earlier smartphone Windows versions, because this time MS notes in several places the need for apps to “extend” the user experience and notes that the UI is designed to “put the focus on consumers and the information and experiences they care about. The consumer’s data and information should be personal, relevant, and connected.” This looks very much like MS is taking much note of Apple’s app design rules–which are famously strict in order to preserve the high-quality usability that’s exhibited by the core OS into individual apps themselves: Apple won’t, as a rule let awkward, clumsy, UI-obfuscating activities to go on inside Apps. And now MS is trying the same trick, which would seem sensible given the high degree of polish it’s given to WinPhone7’s own UI. MS is also implementing a standard “application submission and provisioning process” which means that while developers will be free to write whatever code they like, it’ll only get into the MS app marketplace once its been vetted and approved by MS’s team. And that’s a carbon copy of the way Apple manages the App Store of course–for pretty much the same reasons as there are restrictions on the look and feel of the Apps that are sol there, which all have to somehow add to the user’s experience. Of course by following so closely in Apple’s footsteps, MS is also exposing itself to the same sort of app approval/denial controversies, though it may well have learned from some of Apple’s mistakes. 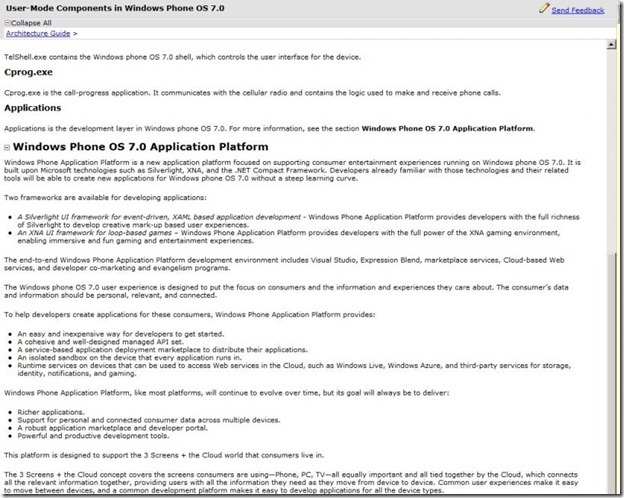 Most of this makes it seem that Apple inspiration lies behind much of Microsoft’s WinPhone 7 development experience. But are there hints of MS individuality? Sure. One of the most intriguing aspects is the use of XNA–which also lies at the heart of Xbox Live games. Microsoft has already demonstrated that there will be a degree of interactivity between the two platforms…leaving us wondering how this will actually get use in practice, and how much it’ll add to the gaming experience. We’ll learn more as time goes on, of course. But it’s clear that MS sees that to follow along the path that Apple’s successfully beaten, one of the best ways to do it is to actually copy Apple.